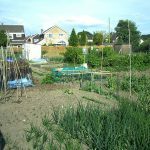 This series on planning my allotment plot, written in 2004, fits in well with the crop rotation articles as it will give you some idea of the process working through in reality rather than theory. Deciding what to grow and where taking into account the previous crops, lime and manure etc. Like all plans, things changed as the year went along. Especially when starting off vegetables in modules or pots, you often end up with more than intended and so space requirements change unless you have the strength of will to dump healthy looking plants! The plan needs to be flexible so that you can react to changes in the weather conditions and even for failures. 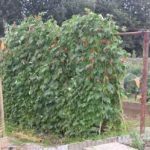 For example, a late frost can wipe out your newly planted runner beans forcing you to start again and so they end up a month later than planned. 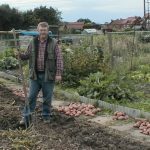 You should never let these changes get you down – vegetable growing is both a science and an art. Even after 30 years of growing, I get it wrong at times. Until long range weather forcasting becomes accurate, there will always be an element of gambling in growing. They say “no man plans to fail, he merely fails to plan” but being tied too firmly to a plan is counter productive as well. It’s interesting to look back and see how things have changed. When I took on plot 29 to discover it was more than half covered with horsetail, I was told I would never get rid of it. Well I proved that idea wrong and, apart from the odd shoot, horsetail became just a minor problem. The compressed hard and lifeless clay where the previous occupant had his sheds and greenhouse became good fertile soil. It took a lot of deep digging and adding masses of organic matter to transform it. When I left that plot the soil level was between 30cm and 45cm higher than when I took it on. 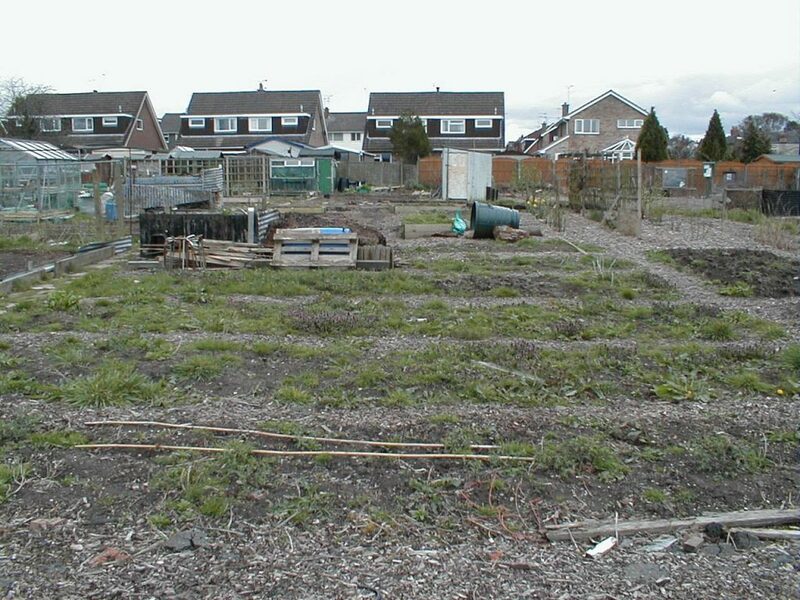 View Down the New Allotment Plot – showing the raised beds, compost heaps and area where sheds were. 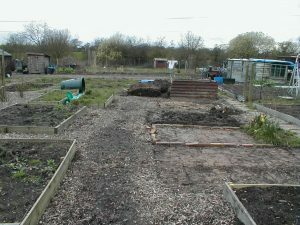 The first task, apart from hoeing off weeds before they got out of hand, was to draw a plan of the new plot including existing fixtures like raised beds and compost heaps. I could then decide what was going to go where and start my crop rotation plan. What I didn’t realise at this stage was how poor the soil was where the previous owner had had his sheds and that a month later most of this top end of the plot would be covered in Mares Tail which would take 6 months to reduce. A month after taking over I’d finished clearing the plot and begun some planting up. The runner bean teepees on the left and dwarf French beans to the right at the west (this) end of the plot. Further up the plot a bed of potatoes was planted after applying a goodly amount of fertiliser to the impoverished soil. As it turned out the east or top end of the plot was out of action whilst herbicide was applied to the infestation of mares tail weed. 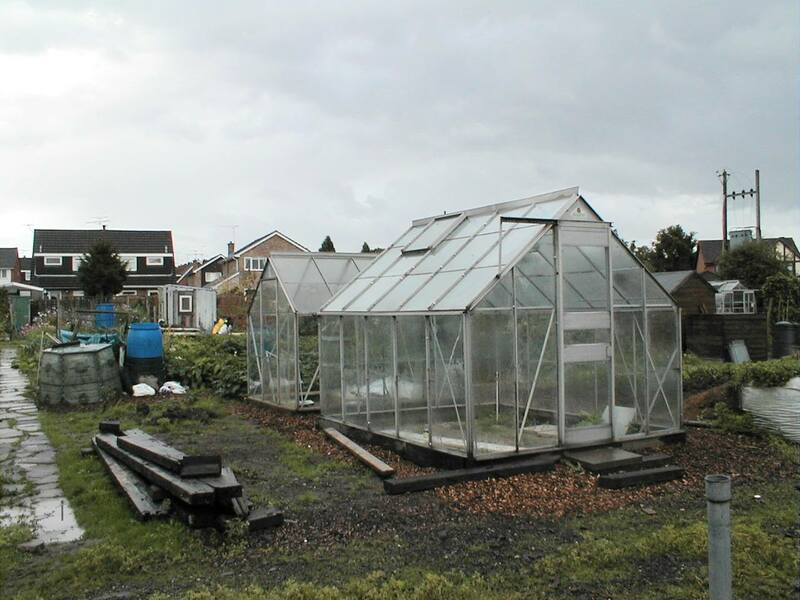 A year later I acquired a couple of greenhouses which have taken that area out of the rotation plan being permanent fixtures. You have to be flexible with your plans and take advantage of opportunities like acquiring a greenhouse for free. 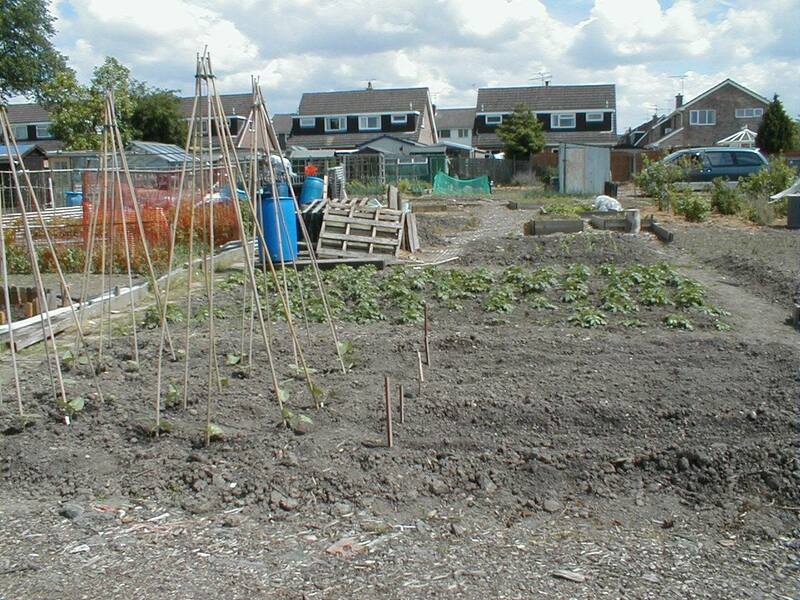 Planning the Allotment Crop Rotation Plan - Finished!